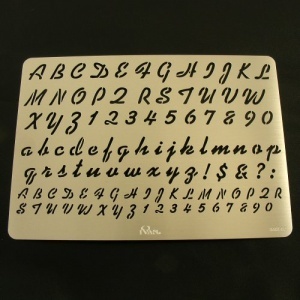 This stainless steel stencil is an excellent tool for marking out accurate letter and number shapes. This quality tool is reusable and hard wearing and can be used for leathercraft, property marking and pyrography. It includes upper and lower case letters in a variety of sizes, plus punctuation marks and numbers.